Researchers at MIT have created what may be the smallest robots yet that can sense their environment, store data, and even carry out computational tasks. These devices, which are about the size of a human egg cell, consist of tiny electronic circuits made of two-dimensional materials, piggybacking on minuscule particles called colloids. 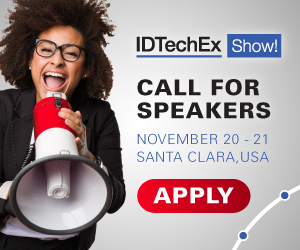 For more information see the IDTechEx reports on new robotics and digital health 2018. Colloids, insoluble particles or molecules anywhere from a billionth to a millionth of a meter across, are so small they can stay suspended indefinitely in a liquid or even in air. By coupling these tiny objects to complex circuitry, the researchers hope to lay the groundwork for devices that could be dispersed to carry out diagnostic journeys through anything from the human digestive system to oil and gas pipelines, or perhaps to waft through air to measure compounds inside a chemical processor or refinery.